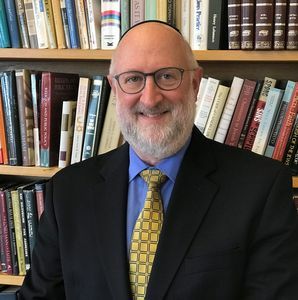 President Lehmann, whose selection was announced on May 23, 2018, comes to the Graduate Theological Union after completing his term as president of Hebrew College in Newton, Massachusetts, where he also served as professor of pluralism and board chair of the Boston Theological Institute. Trained as an Orthodox Jewish rabbi, Daniel Lehmann is the first GTU president whose religious background is not rooted in the Christian tradition. He offered his appreciation for the work of his predecessor, Dr. Riess Potterveld, an ordained minister in the United Church of Christ, who “firmly established the GTU’s interreligious commitments and propelled its growth” during his five years as president. A formal inauguration ceremony and additional activities celebrating GTU President Daniel L. Lehmann will take place during the Fall 2018 semester, with dates and locations to be announced. About the Graduate Theological Union: The Graduate Theological Union in Berkeley, California, is a unique interreligious consortium of more than twenty member schools, centers, and institutes, with a world-class library. Founded in 1962, the GTU is the most comprehensive center for the graduate study of religion in North America, bringing together scholars of the world’s great religions and wisdom traditions to grow in knowledge, thrive in spirit, and unite in solutions.